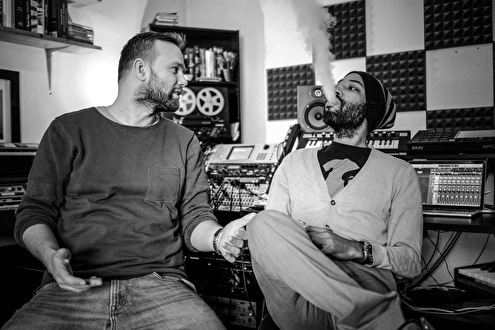 Jan and Regis are a deep house/jazz duo and a live performance unit based in Zagreb, Croatia. Exploring the line where those two genres meet is what they do and the fact that they come from different geographical and musical backgrounds makes their take on performing electronic music live that much more interesting. Regis Kattie is a jazz keyboard player originally from Amiens, France. Jan Kinčl is an electronic music DJ and producer from Zagreb, Croatia. Together, their roots range from house, to jazz, acid, techno and classical music, which paired with deeply improvisational nature of their live show makes it possible to ride that thin line successfully - being it a sitting gig in a small jazz room, main festival stage or anything in between. Some of those gigs and studio sessions materialized into releases, which are scheduled throughout 2018., starting with "Florette Versions" which is coming out on February 14th on Croatian record label PDV. "Florette", featuring bass player Luka Veselinović, is a single taken from the upcoming album titled "In Plain Sight" which is due out in spring, also on PDV.